party at the clawsons, super amazing, great company, killer desserts and a super scary spook alley. will is a skeleton (if you haven't seen the daft punk video for "around the world"...oh well)...homemade costume. duct tape! thumbs down to my point & shoot, although the grain did seem to add to the mood of this photo. 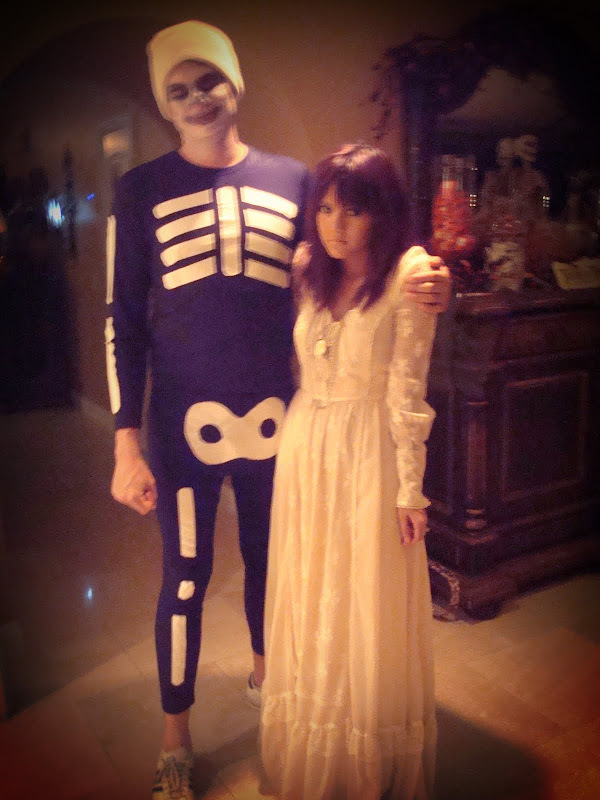 leave it to you to have an amazing ghost bride costume and look beautiful with only minutes to get ready!